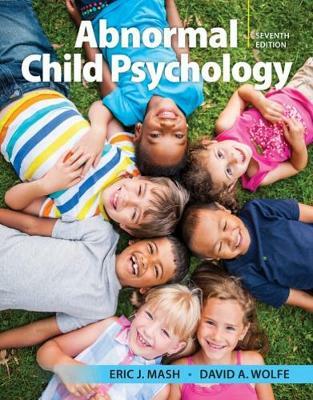 Balancing developmental, clinical-diagnostic, and experimental approaches to child and adolescent psychopathology, Eric Mash and David Wolfe's ABNORMAL CHILD PSYCHOLOGY is one of the most up-to-date, authoritative, and comprehensive books in its market. The seventh edition is organized to reflect DSM-5 categories, dimensional approaches to classification, and evidence-based assessment and treatment approaches. The authors trace developmental pathways for each disorder and show how child and adolescent psychopathology involves biological, psychological, and sociocultural factors interacting with a youth's environment. Case histories, examples, and first-person accounts illustrate the categorical and dimensional approaches used to describe disorders. The authors also consistently illustrate how troubled children behave in their natural settings: homes, schools, and communities.